One might wonder: how the hell do you turn a game as cinematic as The Last of Us into a movie? One will keep wondering. Sony's doing it, working alongside Naughty Dog and Screen Gems to make their PS3 hit into a film. Hardened survivor Joel teams with young and capable companion Ellie to journey through a radically transformed world some 20 years after an infectious pandemic ravages humanity. The game has won numerous awards and has been a big seller since its release last summer. 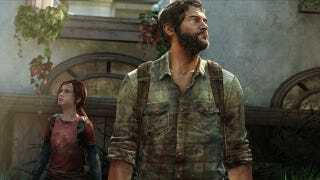 So, um, it's The Last of Us? I guess we shall see.